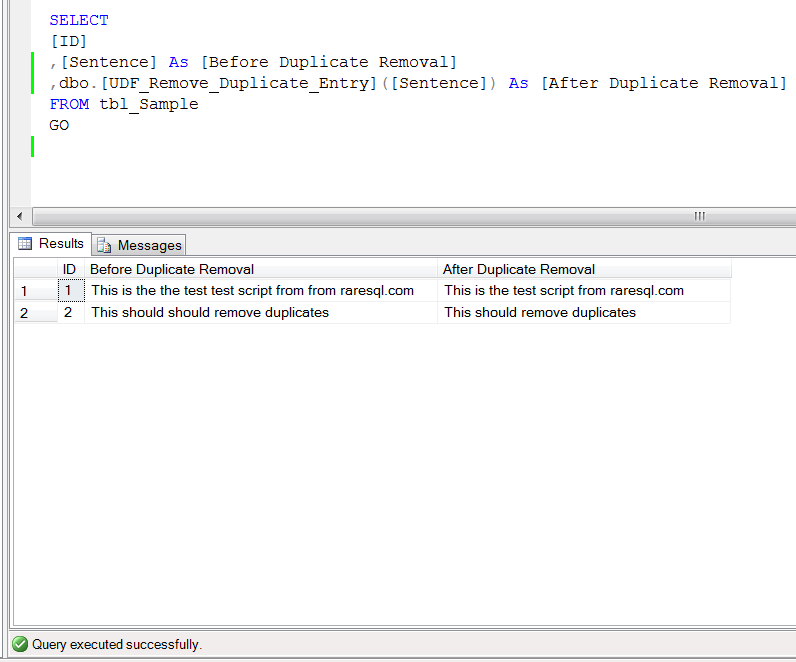 I have been asked this question how to remove the duplicate words in a sentence, when my team and I were busy in messaging legacy application data and we had to migrate it to SQL Server 2012. Also, we had to check and clean the data if there was any duplicate word in a sentence. So I started scripting and checking multiple options to develop this solution including loop & XML, but I usually prefer XML. So I finally developed the solution using XML. Before proceeding with the solution, I would like to create an example to demonstrate the solution. The script of this solution is given below. and can be downloadable from here. Let me know if you come across this scenario and its solution. Present Value of Annuity in SQL Server as a User defined function and shared it. In this article, I will share, how to use common excel financial functions in SQL Server using CLR. Note : You don’t need to install Excel on the server. Given below is the list of Excel Financial Functions, we will implement using CLR. There are two methods to deploy above CLR functions in SQL. First download the source code from here and extract it. Open it in the Visual Studio, go to Build, first build the solution then deploy the solution. It will ask for SQL server name and credentials and will directly deploy it on the SQL Server. Lets deploy and test it step by step. First download DLL from here and rename it to .zip and extract it. Enable CLR in the SQL Server. Create assembly and CLR functions in SQL Server. Now, we are ready to use Excel financial function in SQL. Given below are some examples of above functions. Let me know your valuable feedback. In my last article, I shared how to calculate Future Value of Annuity(FV) function in SQL Server and as promised in this article, today I will be sharing about Present Value of Annuity(PV) function in SQL Server, another important financial function. --entered as a negative number. --it is assumed to be 0 (zero). --FV must be entered as a negative number. -- which represents at the end of the period.